I am the proud recipient of the Max Delbrück-Award for young researchers of the University of Cologne for 2018. 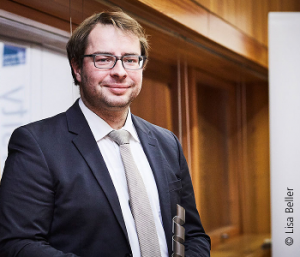 This is not only a great honor, but also comes with a relative large grant money (96.000 € over 2 years), which is unusual for this kind of award, but is made possible by the participation of the University of Cologne in the German-wide excellence-initiative. This additional research money will be of great use for further building our high pressure mineral physics laboratory, buying a lot of diamonds (they somehow break all the time), and several travels to synchrotron facilities. I am also very thankful to my PhD supervisor Prof. Falko Langenhorst, who came for the award ceremony to give a 8 minute laudatio about my past achievements.